Pune’s favourite popsicle & ice-cream parlour, Eskopop has opened its second outlet in Baner and we dropped everything to check it out! With the overwhelming response that Eskopop received for their first outlet at Koregaon Park in North Main Road, these folks decided to pop open a new outlet at Baner. And, oh boy, we aren’t disappointed one bit! The new outlet is diagonally opposite to the TVS showroom, near Varsha Park Society on Baner Road and their menu stays constant with their heart winning flavours of roasted banana, plum, green apple grape, Irish coffee among various others starting from INR 90 only! 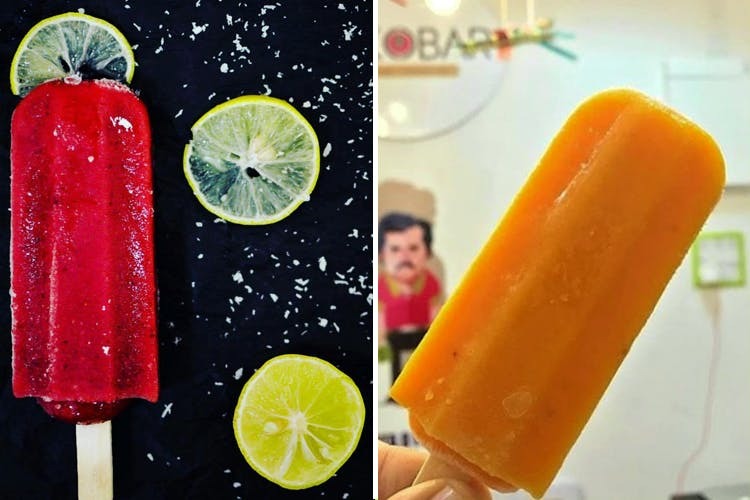 Baner folks, you don’t have to travel all the way to KP to enjoy the gourmet popsicles of Eskopop.